Kitchen Tour YouTube Live – Progress & Plans for the Future – Hosted by Sara. Sara give a progress tour of her renovated family kitchen where recipes from the blog are produced. Hi Everyone, first off, It’s Valentine’s Day, so Happy Valentine’s Day to everyone! I did my first YouTube Live stream video today (eeek!) and started off with a kitchen tour. That seems like a good place to start, right? My son was sleeping the whole time and luckily didn’t wake up so I could finish the video. Whew! I want to show you the progress on our kitchen so you can see where I develop, make and photograph my recipes on this blog. I also discuss my ideas & intentions for the future of the kitchen. To see all of our kitchen renovation posts, visit here. Recently, I have been doing weekly live videos on Facebook of me (and sometimes a sidekick) making recipes from the blog. To make sure you get to see these live streams/videos for both YouTube and Facebook, make sure you have those apps on your smartphone/desktop/tablet and are following my page/channels. I have links to all my social media here. But wait! There’s more! You have to have your notifications turned on and to do that, there’s a bell icon near the subscribe button (on YouTube) or the Like button (for Facebook) where you can set those notifications. 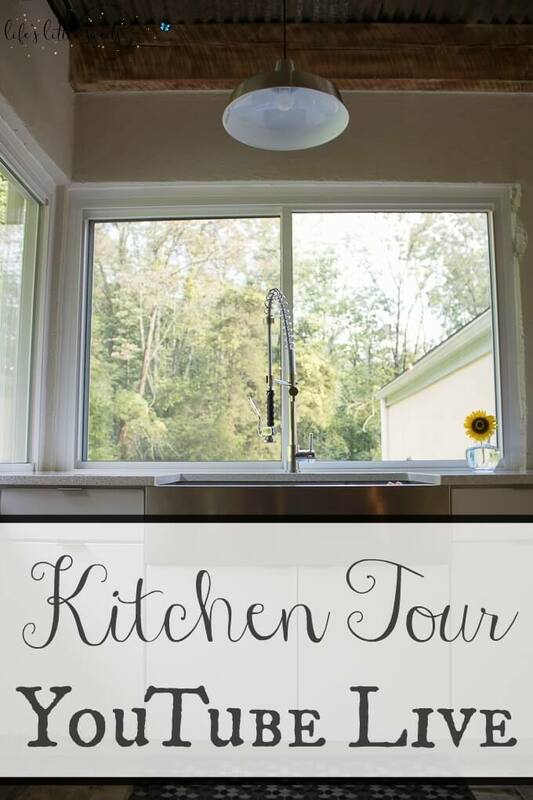 Check out the kitchen tour, in the video below!